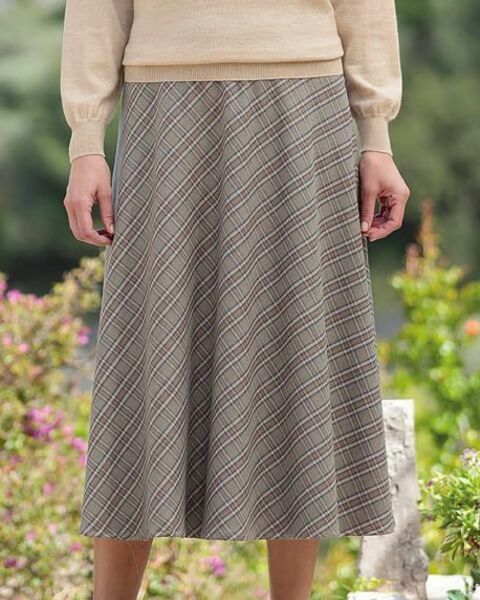 Ladies flattering bias cut skirt, fully lined style with side zip and button fastening. Side back waist elastication for a comfortable fit. Distinctive check in taupe with highlights of nutmeg and camel. Easycare wool blend fabric. 52% wool/46% polyester/2% lycra. A touch of autumn elegance.